We all have little things that make us happy. Simple things in life we really enjoy, and probably take for granted, if we’re being honest. Mine is driving fast, blasting old school hip hop, and John’s is waking up at 3 a.m. once a month to call his friend Jake and wake him from a dead sleep. Jake is always super angry and hangs up immediately, and John goes back to bed with a smile. Mission accomplished. 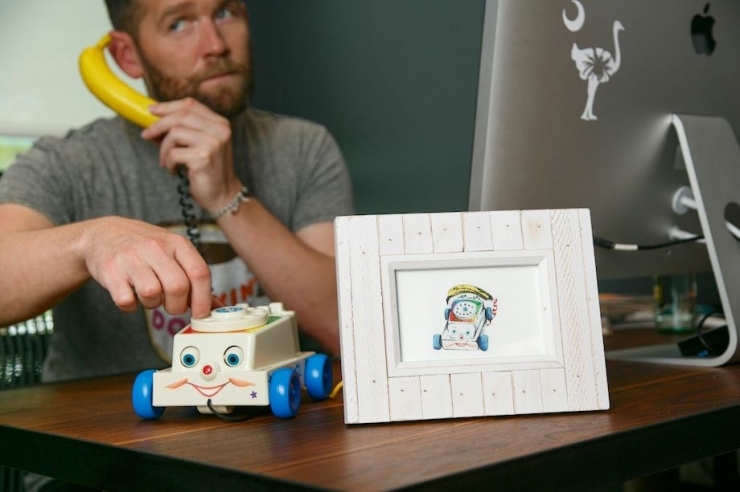 Imagine waking up and discovering your simple something was gone – no more speeding or Snoop or 3 a.m. wake-up calls, or whatever your thing is. You’d be annoyed, but you’d move on with your day easy enough, right? This is Tayden, and just about everything in his life is a challenge, right down to walking, talking, eating...things most of us do without even thinking about it. 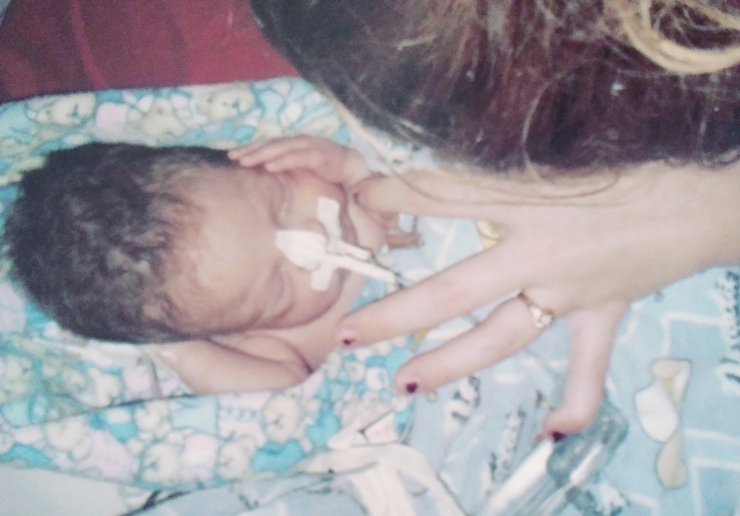 Here’s newborn Tayden, weighing in at just over a pound. Seventeen ounces to be exact. 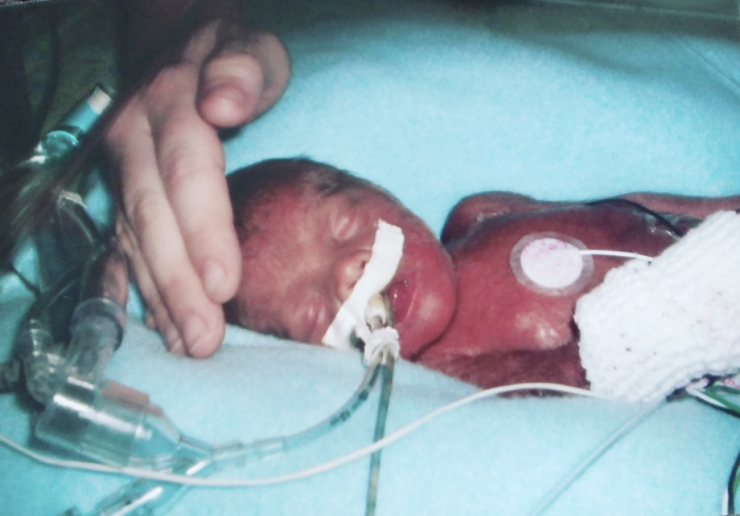 He was born three months ahead of schedule and spent 101 days catching up in the neonatal intensive care unit. 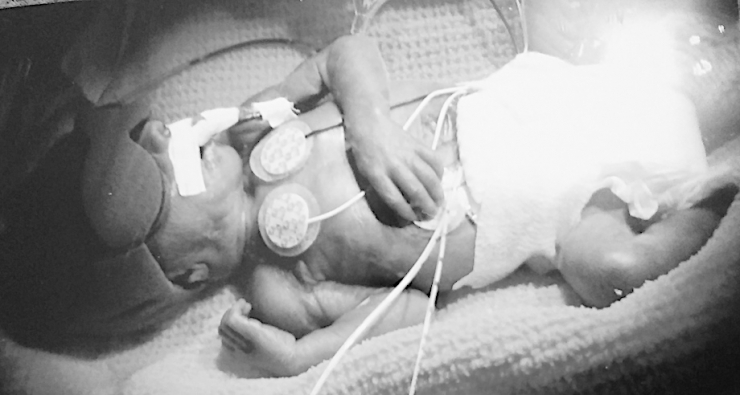 Doctors did their best to bring him up to speed, but preemies face a long, difficult journey, and Tayden’s was no exception. 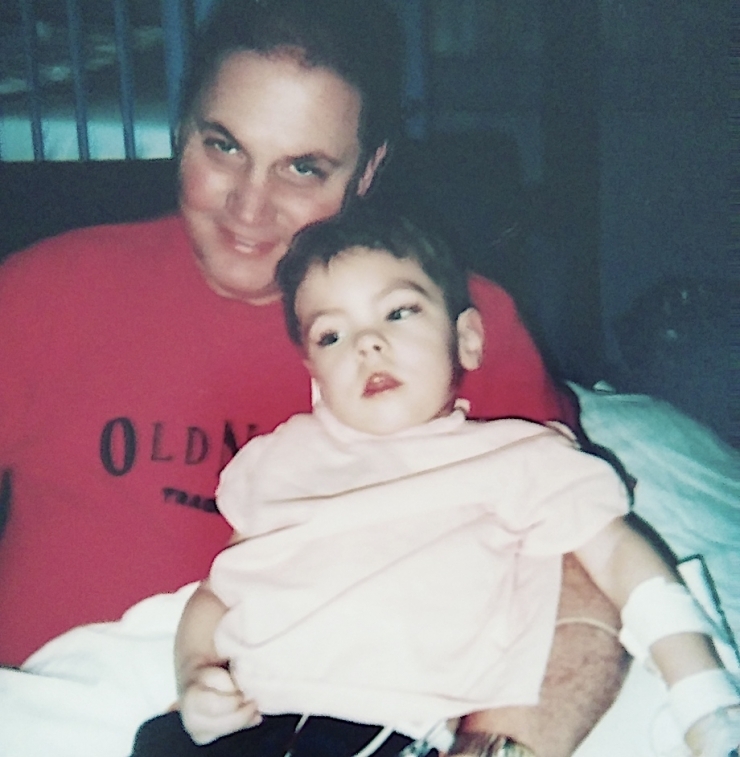 It was harder, actually – more appointments, more equipment, more hospital stays, much heartache. 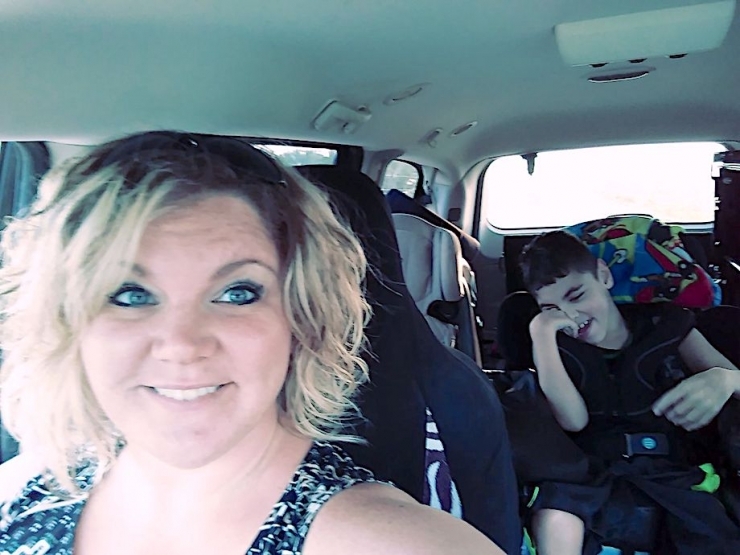 His mom Hailee didn’t know if Tayden’s developmental delays were related to his prematurity, or if there was something more serious to blame, and she had zero interest in waiting patiently to find out. 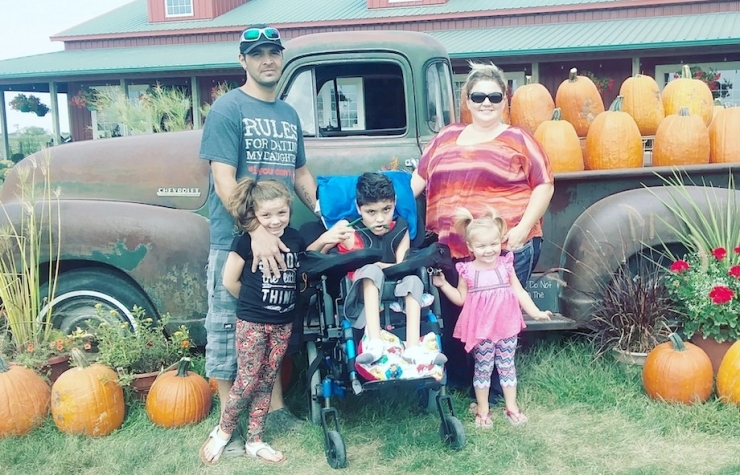 She pushed for early testing, and shortly after his first birthday, Tayden was diagnosed with cerebral palsy and dystonia (involuntary muscle contractions). It was definitely not good news. Dystonia is pretty terrible. 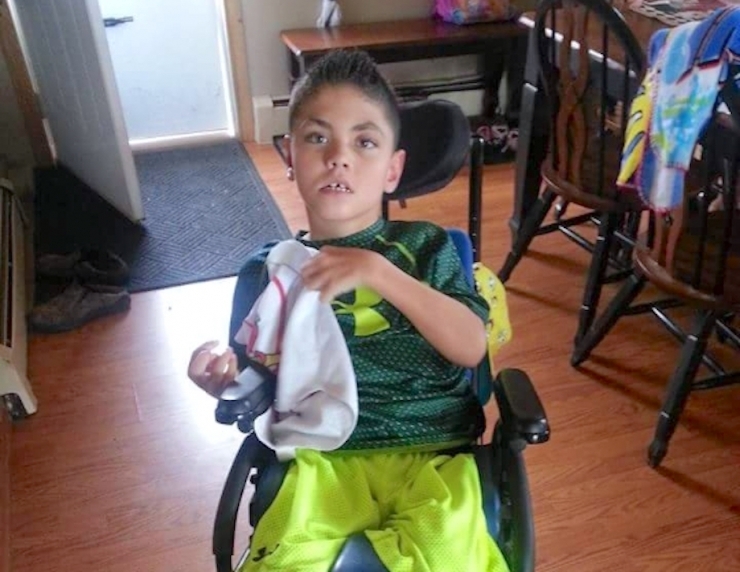 So is cerebral palsy, don’t get me wrong, but the effects of dystonia on Tayden’s little body were catastrophic. His muscles grew so tight and moved so uncontrollably he burned more calories than he could ever possibly ingest. 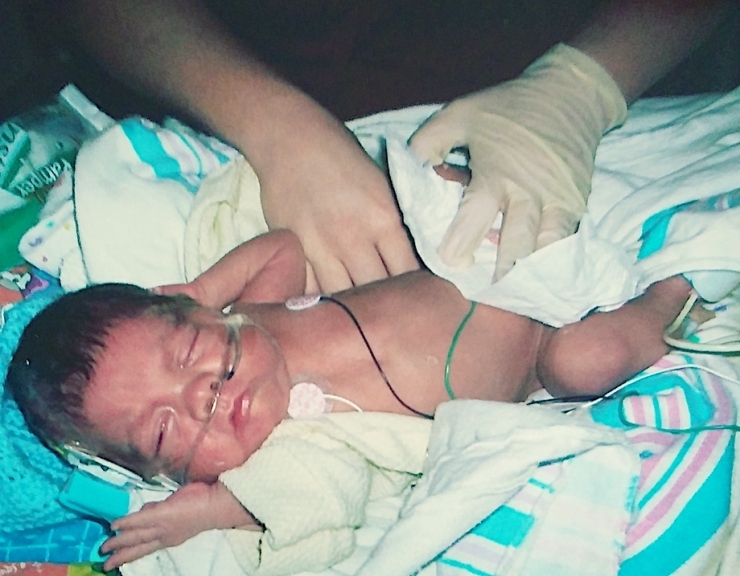 A feeding tube helped, but his body was so out of control he couldn’t keep anything down. After yet another surgery, feedings improved and Tayden started gaining weight. 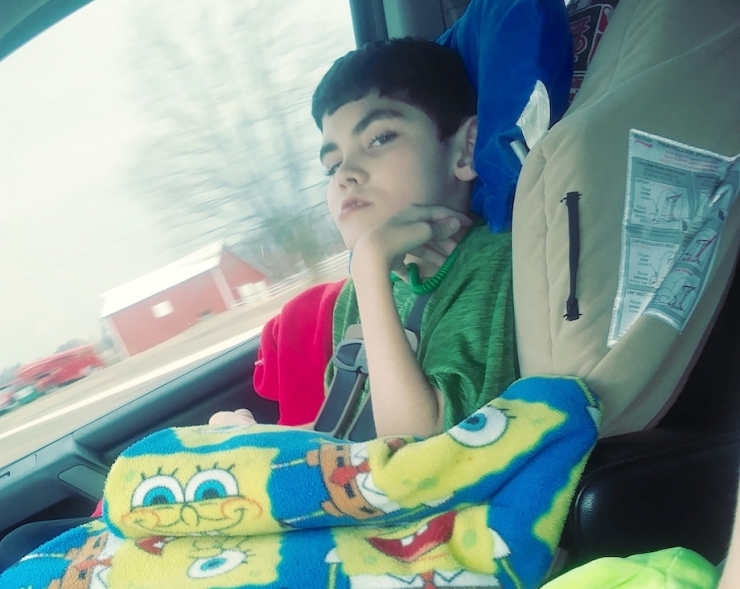 It was a big step forward, one his parents were incredibly grateful for, but the eight years following were a blur of surgeries, illnesses, hospital stays, and painful muscle spasms. With distinct moments of cuteness overload, of course. 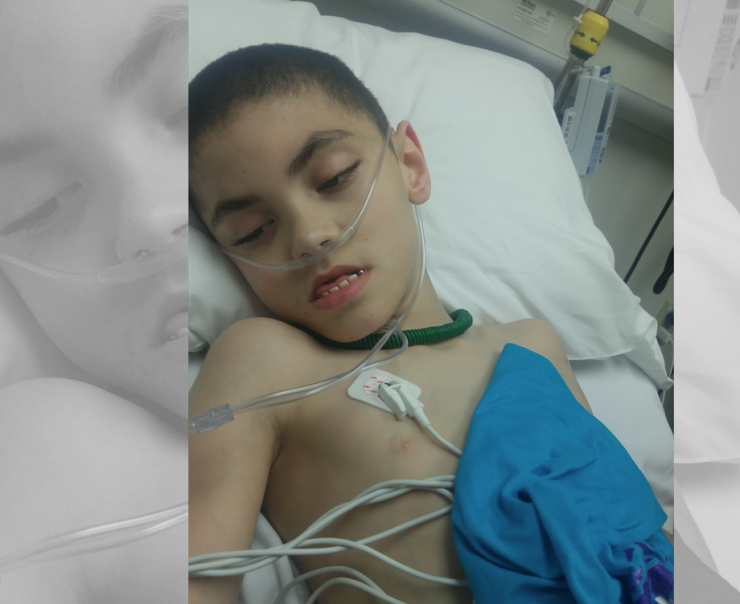 None of the medications or procedures really touched his dystonia, and by the time Tayden was 10, his body was so rigid he could hardly move. Unable to sit upright at all, his entire world shrunk to the confines of his bed. Tayden’s parents were desperate. Their son was declining and time was running out. And the only option left was one they had avoided for years: deep brain stimulation surgery (DBS). They made the difficult decision to go for it. 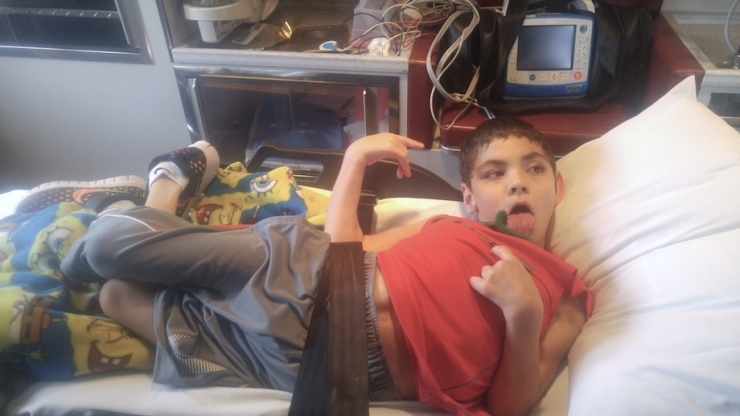 Surgeons at the University of Missouri implanted electrodes in Tayden’s brain to regulate abnormal electrical impulses. He was the first pediatric patient in hospital history to undergo the procedure, and he made it through with flying colors. “Tayden was back to his old self within weeks. He was able to sit in his wheelchair again! He was able to go on car rides to his favorite store – Walmart – and go places with his grandparents. He was living it up!” Hailee remembered with a smile. Hearing her get so excited about taking Tayden to Walmart hit a cord – I knew there was more to that story. How could something so routine bring this family so much joy? 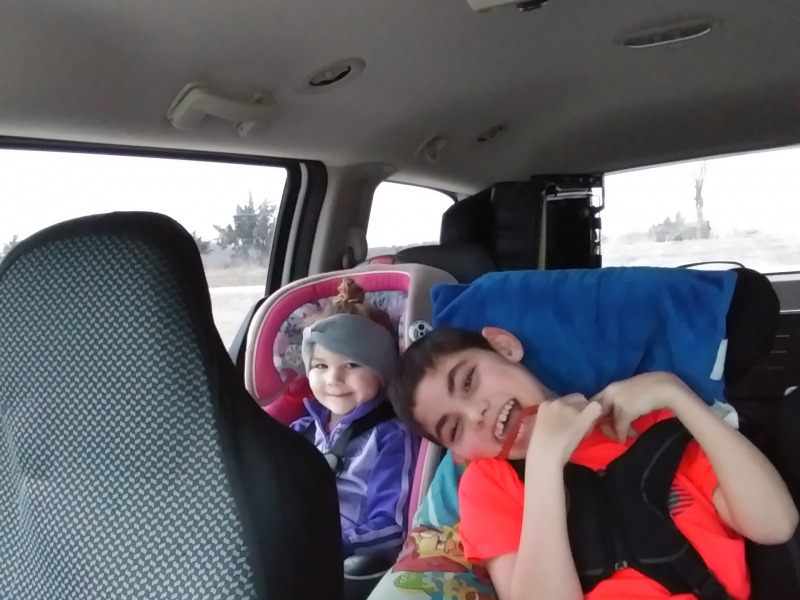 Hailee said he’s never been able to walk or talk, and his physical limitations keep him from doing, well, most things. But car rides? Hitting up Walmart for some shopping and people watching? That’s Tayden’s jam. And because there are precious few things that bring him joy, Walmart is important. It was starting to make sense. 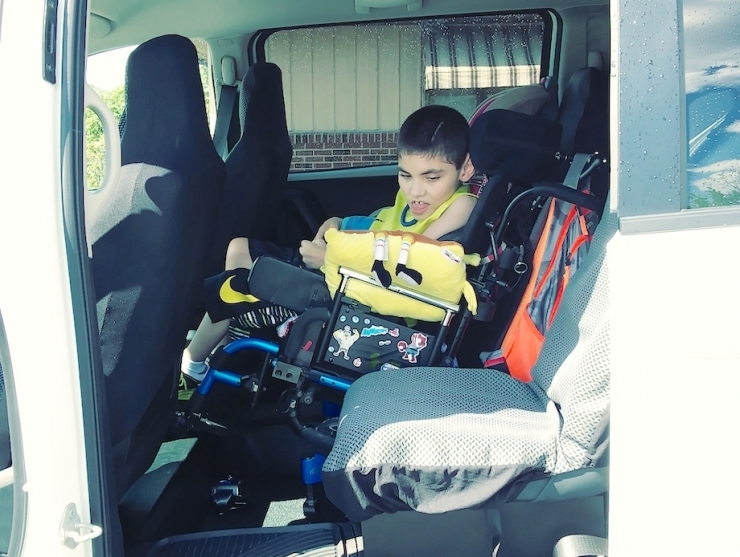 Before Tayden’s DBS released his muscles enough to sit up, he wasn’t able to go in the car, or go to Walmart, to his grandparents’ house, or anywhere at all. Getting out of the house and running errands, going to Walmart, it made his whole life better. 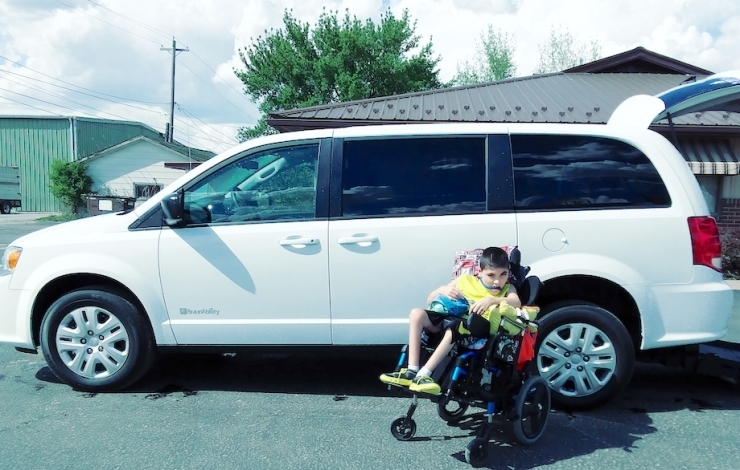 But then Hailee’s wheelchair-accessible van broke down. Again. For the umpteenth time. And the family just couldn’t afford to keep fixing it. 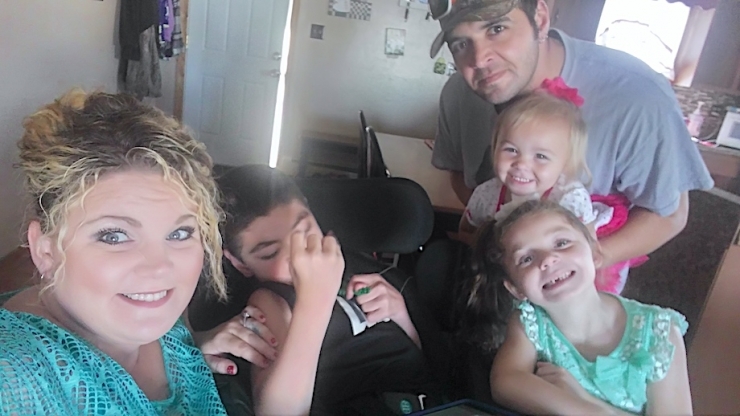 Tayden requires so much medical care, and the budget only stretches so far with a family of five. 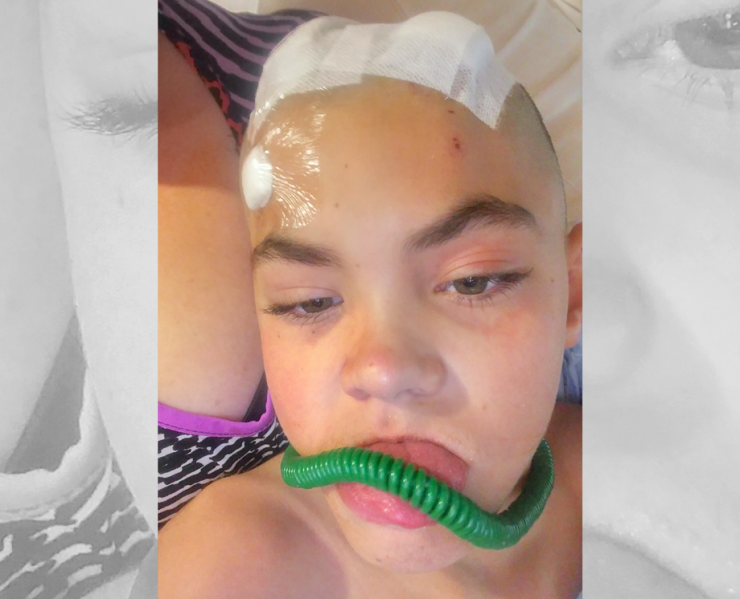 Tayden was stuck at home again, unable to get to his many doctor appointments, therapies, or to Walmart. 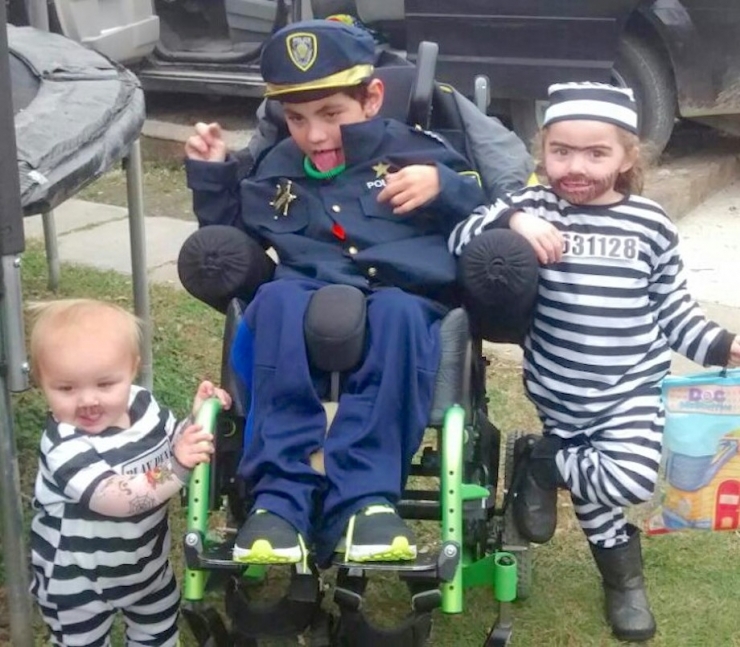 Chive Charities understands mobility is the key to freedom, independence, and ultimately, happiness, and we just couldn’t let Tayden be a prisoner in his own home. 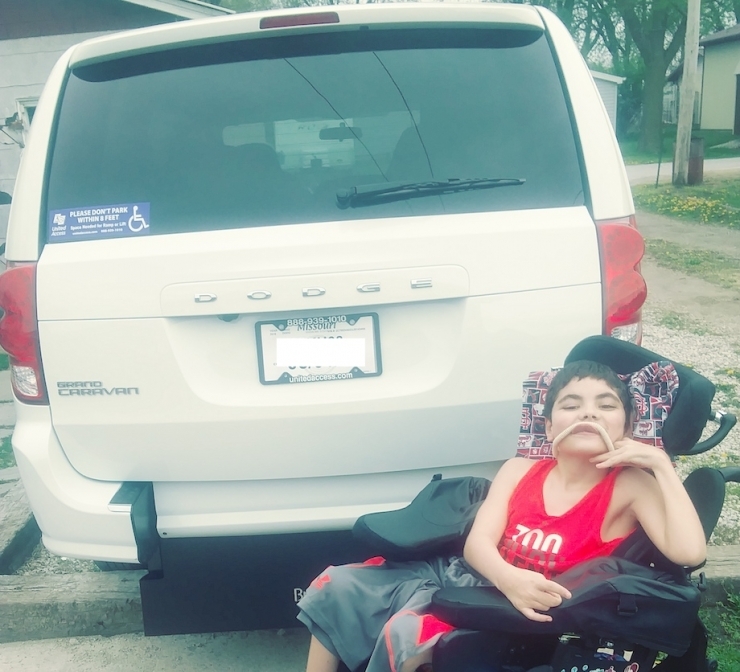 With a $42,000 grant made possible by our Green Ribbon monthly donors, Tayden’s family purchased a 2018 wheelchair-accessible Dodge Caravan. It was delivered last week. Hailee said they’ve been on-the-go ever since, sometimes just driving around town with the windows down. They’ve been to the fair, the grandparents’ house, and, of course, to Walmart. Four times. Hailee said it’s already changed Tayden’s life. 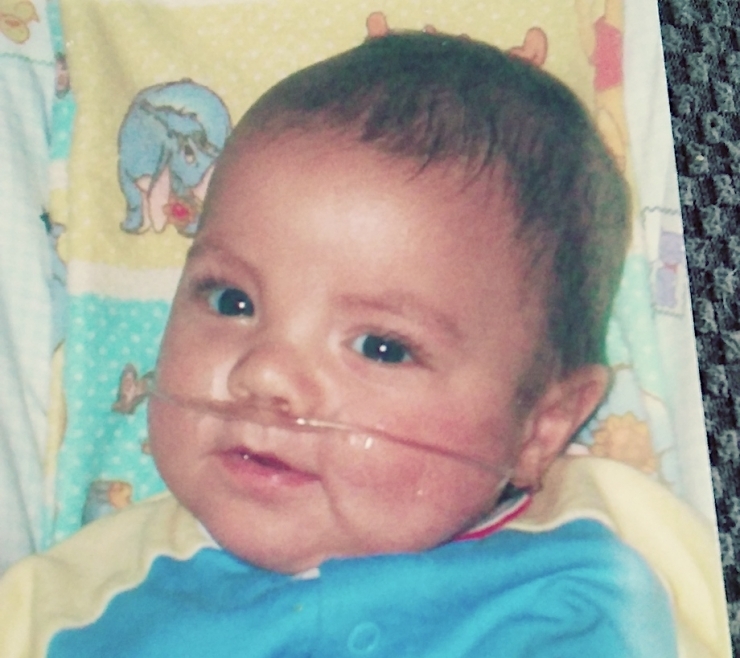 Kids like Tayden need people like you to keep happiness accessible. 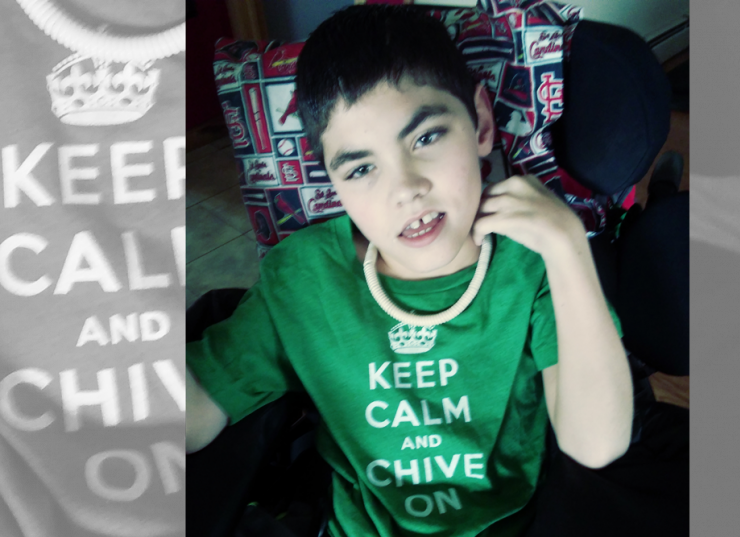 Take the next step and become a Chive Charities monthly donor right HERE. **Special thanks to our friends at BraunAbility for their continued support.